Keeping with the environmentally conscious methods of design, iLoveLamp comes in two body types: glossy white, or environmentally friendly Bamboo. 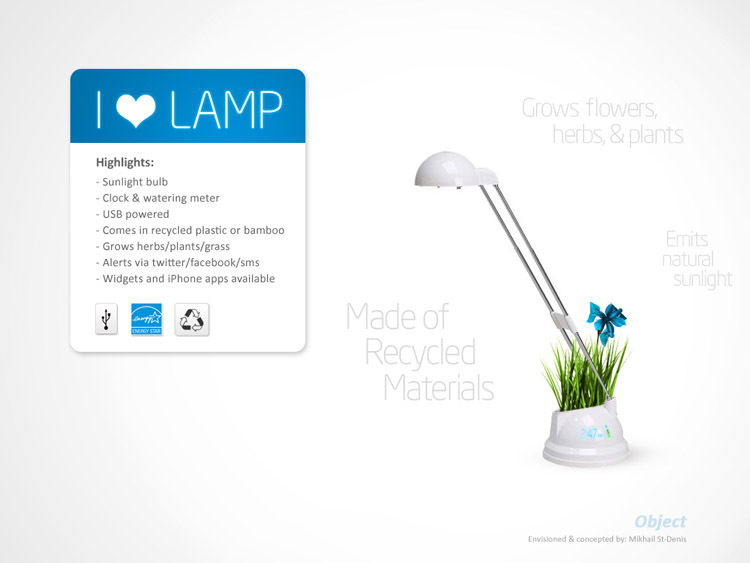 Both designs would be made from recyclable materials. 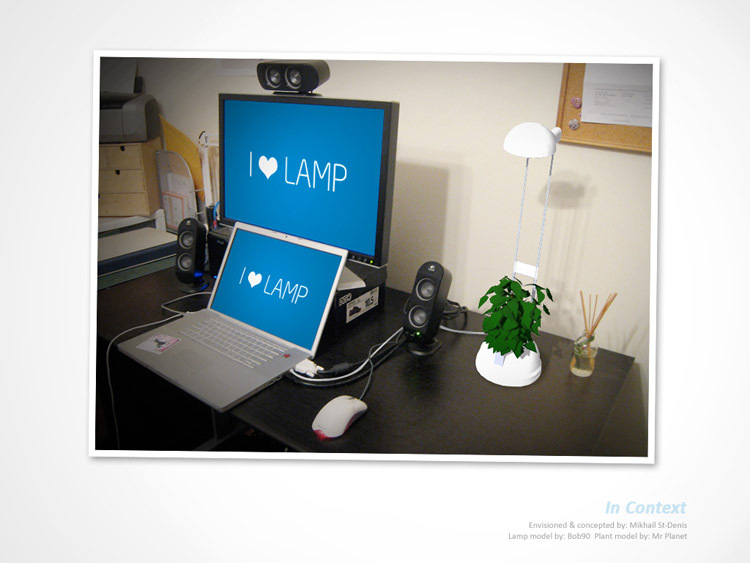 iLoveLamp maximizes the abilities of its power souce and technology, creating a plethora of new possibilities. It uses USB as a power source, and to transfer data. It has a built-in processot that keeps track of power consumption and also detects the needs of your plant, such as soil condition or when it needs to be watered. 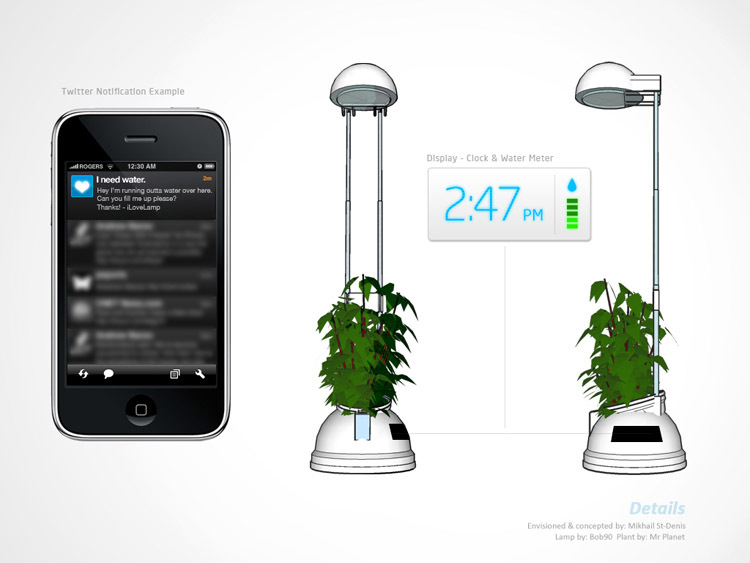 When your plant is low on water, it will notify you via SMS, Twitter, Email or Facebook. Computer connectivity allows social networking and crowd sourcing techniques to unite the community of owners together to share growing tips and statistics (similar to the Nike+ community).